THE B-MOVIE NEWS VAULT: New DVDs & Blu-rays for 03/08/2016! New DVDs & Blu-rays for 03/08/2016! Daylight Savings is less than a week away, and then Spring begins a week after that! Where does the time go?! March came in like a lion in regards to genre releases on home video, but this week is looking rather mediocre. Scream Factory leads the pack with Blu-rays of SPECIES II and a double feature of SPECIES III & SPECIES: THE AWAKENING. 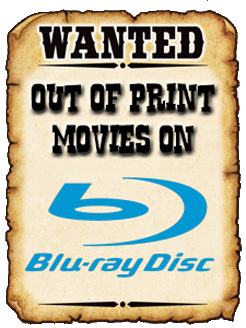 There's a ton of other direct-to-DVD titles out this week, so scroll down to see what's new! New DVDs & Blu-rays for 03/29/2016! New DVDs & Blu-rays for 03/22/2016! New DVDs & Blu-rays for 03/15/2016! New DVDs & Blu-rays for 03/01/2016!